The Kingsport Aquatic Center is creating their own junior summer league swim team – the Junior Viperfish Swim Club! The Kingsport Aquatic Center has formed a new partnership with the Barracudas Swim Club to host a youth fun swim camp as well as swim and stroke clinics in the fall. Swimmers of all skill levels have the opportunity to participate in the swim camp, join the summer Junior Viperfish Swim Team, and take swim stroke classes in the fall. The swim camp is June 1 to 3 from 6:00 p.m. to 8:30 p.m. on Thursday and Friday, and 8:30 a.m. to 11 a.m. on Saturday at the Kingsport Aquatic Center. Swimmers ages 6 to 14 will learn swim techniques, water safety, as well as play fun games. The cost of the swim camp is $25 per swimmer. All swimming abilities are welcome! The Junior Viperfish Summer League Swim Team starts practicing after the swim camp. There are no tryouts – the team welcomes all swimmers ages 6 and up of any ability. The swim team will practice Monday, Wednesday & Thursday evenings from 6:45 p.m. to 7:30 p.m. Swim meets occur on Tuesdays at 6:30 p.m. 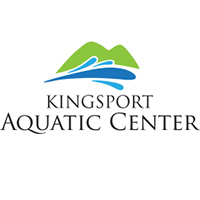 Participation in meets is optional and most swim meets will take place at the Kingsport Aquatic Center. The cost is $80 per swimmer for Kingsport Aquatic Center or YMCA members and $100 per swimmer for nonmembers. There is a discount for siblings wanting to join. In the fall, swim stroke clinics will be held as part of the partnership. These classes are not just for the swim team – all swimmer are welcome to participate! For more information, please visit www.swimkingsport.com or call 423-343-9758. For more information on the Barracuda Swim Club, please visit www.barracudaswimclub.org.